For affordable car servicing in Rainham from a friendly local garage, contact your independent automotive experts at RCR Motors today. 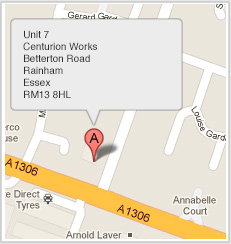 We offer a full range of mechanical services to vehicle owners and motorists throughout the Essex area. RCR Motors specialise in all vehicle makes and models and we are proud to serve our customers as the number one choice for brake repairs in Rainham, Dagenham and Barking. RCR Motors are able to offer guaranteed workmanship using OEM quality replacement parts under the expert hands of our experienced car mechanics in Rainham. We regularly invest in innovative trade technology including the latest engine management equipment and our popular workshop now offers engine diagnostics in Rainham for all of today’s modern passenger vehicles. Contact RCR Motors today for French vehicle servicing and reliable engine diagnostics in Rainham and Essex.